When you ask Jesus to come into your life, that IS what feeling saved feels like, right then, at that moment! Sure, we read stories in the Bible where lights flash, people fall, holy voices speak – we like those stories, they make good theater. They are the exception rather than the rule. God seldom does theatrics but he will do what he says. 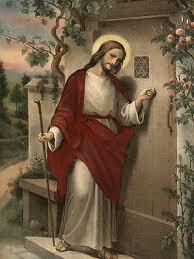 When we open life’s door to Christ we know he comes in simply because he said he would. Start with that simple fact. Feelings may come and go, but trust in God’s word stays. Jesus said living with him was like being in a wedding – a celebration. The short absence between the cross and Easter is past; Jesus offers to be with everyone who will allow. So…is your life more like a wedding or a funeral? The difference between the two is the presence of the one for whom the event is given.